A general technique is described that yields second order accurate solutions for time dependent problems with moving surfaces. 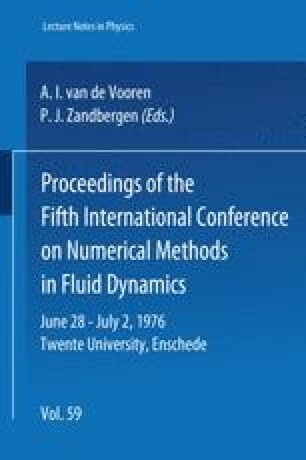 Because of the Eulerian formulation, the method is able to handle the interaction of several materials undergoing large distortions. The algorithm is easily changed to allow for different material behavior. Results are presented for a purely elastic problem where wave propagation dominates and for two problems where combined elastic perfectly plastic material flow is important. Extensions to three space dimensions is straight-forward using splitting methods. This work has been supported by ERDA, Contract No. E(11-1)-3077 at New York University.